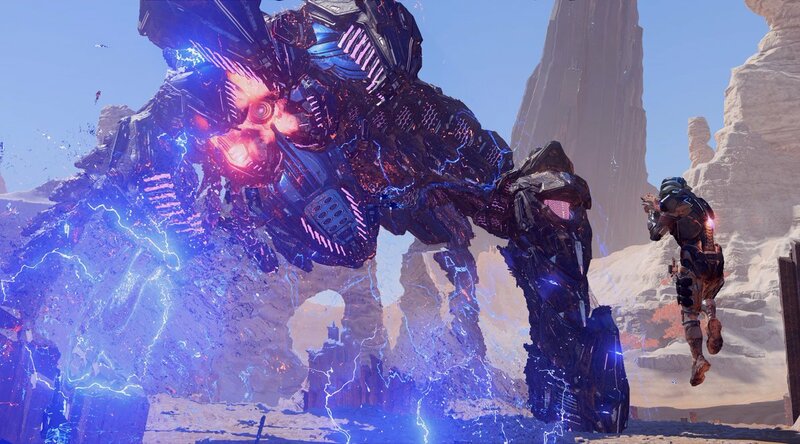 This is a Mass Effect Andromeda enemies article on the Architect. Here you’ll find information about an enemy found in Mass Effect Andromeda. For more Mass Effect Andromeda content, head over to our Andromeda top page. A massive, mechanical enemy, this colossal machination lives on the planet Eos. 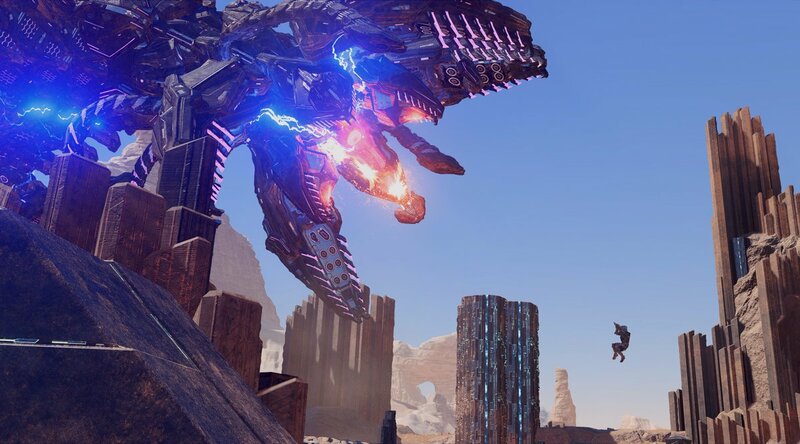 A rare and awe-inspiring sight, Architects are colossal Remnant constructs that burst from the ground, using multiple element zero cores to hover and attack from above. They dwarf buildings and ground vehicles, and their armor is impenetrable to all known small-arms fire, including mass accelerator rounds. Only the power cores on an Architect’s body appear vulnerable, and even they show signs of self-repair capabilities given enough time. Each Architect is armed with multiple defensive systems, each extremely dangerous. Ferrofluid reservoirs and minifacturing peripherals allow it to create smaller Remnant units to swarm enemies. 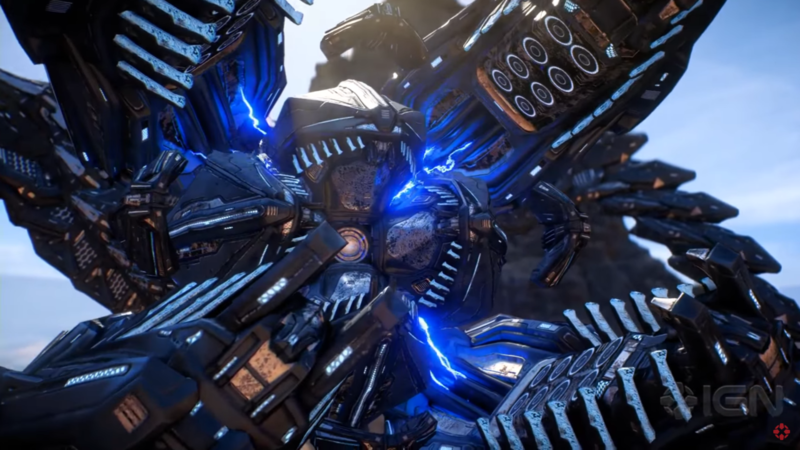 Its most devastating attack is an electrically charged energy burst that swarms with fluidly replenishing shrapnel, overrcharging shields and then shredding a target. Though an Architect cannot be destroyed, disabling its power cores will ground it, giving an opportunity to interface with its central processor and reprogram its current directives to compel it to leave. The name “Architect” precedes their initial sighting. Peebee claims she theorized the existence of a Remnant that was responsible for excavating the space needed for Vaults, and for building other Remnant infrastructure. These Architects, simply by size alone, appear to fit that profile. Take out the thin tendril when it rests on the ground, which makes the machine flinch. Afterwards, take down its legs to bring it down. Once it opens its mouth, fire at the red center with a sniper rifle. Take out the head conduits to deal devastating damage upon it. It’s best if you use weapons specifically used for synthetics, like disruptor ammo and overload. Thanks for your insights. We have a lot on our hands right now, so every single bit of criticism is going to be helpful. We will update this guide as soon as possible. Thanks again, Gordon!